We were asked to create a pair of planters. The customer is very pleased with these. We planted with evergreens to ensure that there is always something to look at in the planters, then added colour with seasonal plants which can be changed as the seasons change to keep colour and interest going throughout the year. 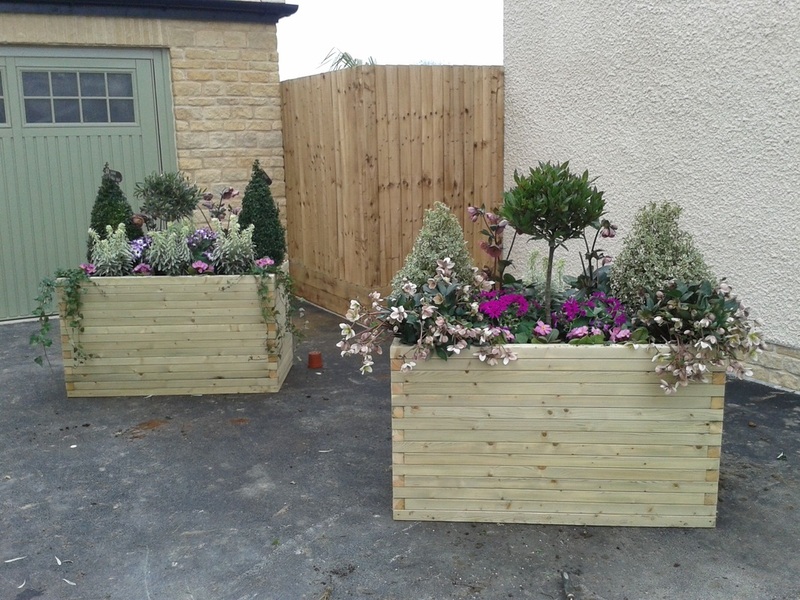 These Planters are ideal for driveways, patios etc in fact anywhere it is not possible to have beds or borders. They are also a perfect solution for gardeners that have trouble bending or kneeling, they can be made to any height required so can be accessible to gardeners in wheelchairs, therefore enabling garden enthusiasts to continue with their hobby which many find both therapeutic and rewarding. Very nice planters, practical too.